I have always believed that being creative benefits children’s development. In my house, the kitchen is one of our favorite places for creative exploration. It’s also a natural place for me to teach my kids new things. 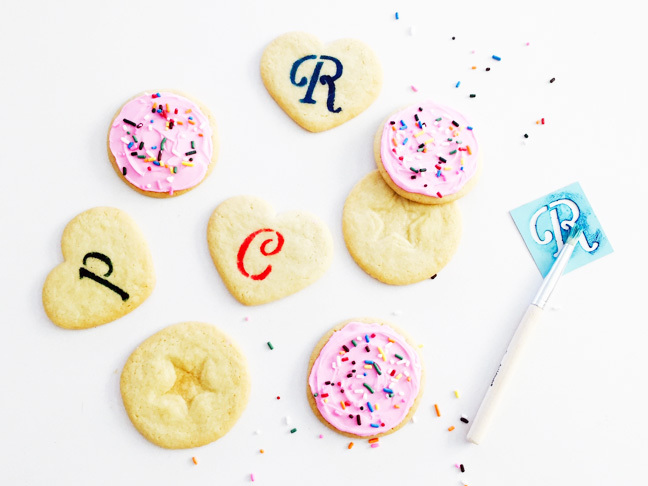 Baking is a fun way for my 3-year-old son Rocky to learn shapes, letters, numbers, and objects. With my kindergartener, Charlotte, I’ve found that baking gives us the opportunity to talk about so much more than ingredients and recipes — whatever is on her mind, really, from school to friendships. Baking is also a great way for us to work on math and reading skills. 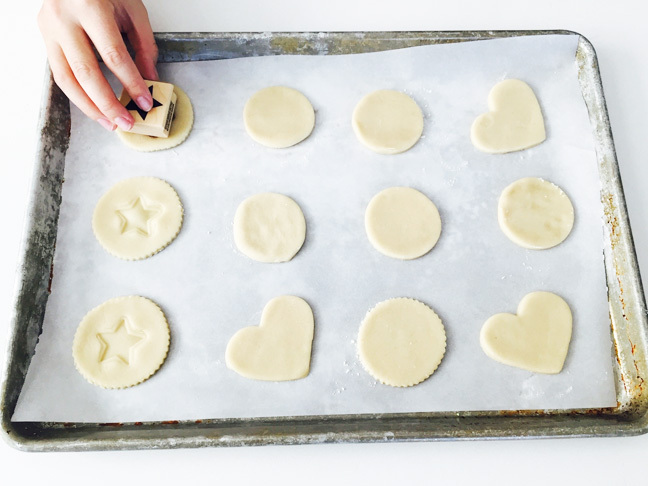 Who would’ve thought that a craft stamp makes for a great baking tool? I had this star rubber stamp (food safe, too!) lying around my house. I cut my cookies with a round cutter, then took the stamp and pressed firmly into the center of the unbaked dough. The result: A pretty star cookie! For this all you need is an art stencil (I used an alphabet stencil), natural food coloring, and a paintbrush. Take your baked sugar cookies out of the oven. 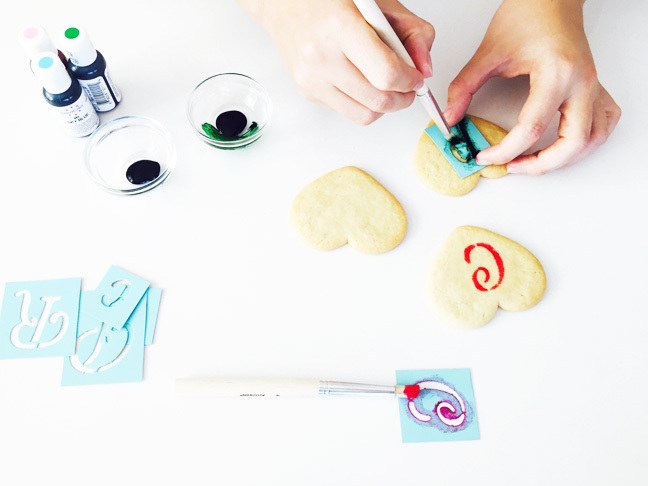 Once the cookies have cooled place the stencil in the center of the cookie, dip your paintbrush into the food coloring, and paint in the opening of the stencil. Lift the stencil to reveal your creation! It’s hard not to love a classic frosted sugar cookie. 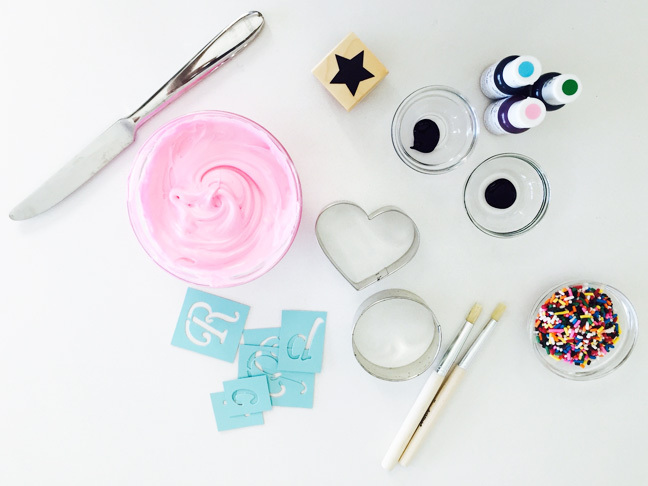 For this we used my Foodstirs Organic Vanilla Frosting and added a few drops of natural red food dye. 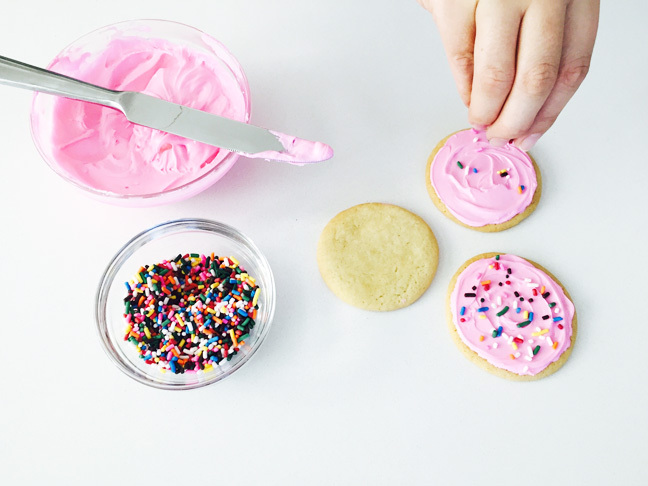 Once the sugar cookies cooled, we let the kids get involved with the frosting. For the final touch, I added sprinkles on top. Sometimes you just have to keep it old school with a classic frosted sugar cookie.